When you order Best Cleaning London services via telephone, e-mail or website the client is agreeing to be bound by Best Cleaning London Terms and Conditions of Service. Best Cleaning London reserves the right to make any changes to any part of these terms and conditions without giving any prior notice. The Client agrees not to pay money directly to any cleaner sent to the Client by the Contractor, as all money must be paid to the Contractor through the Contractors bank account, cheque, online banking, or via PayPal through the website. The Client is charged on a monthly basis according to the client’s request for number of cleaning hours and interval between visits. The Client will be notified by telephone or in writing which ever is appropriate, if there is any change in cleaner providing services to the Client. The Client agrees not to directly employ or offer work to the cleaner of the Contractor, as this will be a direct breach of this agreement. If the client wish to employ a cleaner directly, the client must pay 1000 pounds fee to the Contractor. The Client may cancel/skip a cleaning visit by giving at least 48 hours notice. Otherwise If not notified on time Best Cleaning London will charge the full amount for the cleaning visit and no refund can be claimed. In case of a complaint, Best Cleaning London requires to be notified within 2 hours after completion of the cleaning work. No claims will be entertained after the above time limit. Unless otherwise agreed in writing by Best Cleaning London, the account is rendered for immediate payment on the completion of the work. The Client must make payment by cash before the cleaner / cleaning team leaves the Client’s premises. If card payment or bank transfer is agreed with the customer, it is to be arranged no later than a day before the day of the cleaning. The company reserves the right to cancel an appointment in failure of receiving the card details or bank transfer in advance. We require a credit card number in order to hold your booking. The Client can cancel or reschedule the scheduled service by giving us at least a 48h notice. Failure to provide us with the needed notice will result with a 50GBP cancellation fee. Best Cleaning London company has the right to cancel or reschedule a service in cases where an accident or any unexpected circumstances have befallen the assigned cleaning team. All services shall be deemed to have been carried out to the Client’s satisfaction unless written notice is received by Best Cleaning London with details of the complaint within 24 hours of the work being completed. We will fully investigate any complaint and attempt to resolve it to the satisfaction of the Client, or alternatively to a reasonable standard. The Client agrees to allow Best Cleaning London Team back to re-clean and inspect any disputed areas/items before arranging a third party to carry out services. In case of damage, proven to be caused by us, Best Cleaning London will repair the item at its cost. If the item cannot be repaired Best Cleaning London will rectify the problem by crediting the customer with the item’s present actual cash value toward a like replacement. While our operatives make every effort not to break items, accidents do happen. Identical replacement is always attempted but not guaranteed. For this specific reason, Best Cleaning London requests all irreplaceable items (whether monetarily or sentimentally valuable) be stored away and/or not cleaned by the cleaning operatives. Best Cleaning London may require entry to the location of the claim within 24 hours to correct the problem. 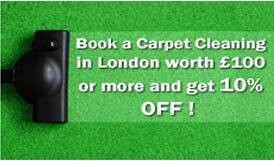 Best Cleaning London shall not be liable for the shrinkage of carpets as a result of poor fitting. Insurance Any work undertaken us is covered by a Public Liability Insurance. Freezers must be defrosted in advance. As the timescales for defrosting will not enable us to thoroughly clean it. We cannot guarantee our End of Tenancy Cleaning service when people are still present in the property at the time of the cleaning. Our customers can pay cash directly to the cleaners after the cleaning or via PayPal on our website upon request. If company account is used for payment, the client should write down their names, full address and post code of property in the reference field. We provide all cleaning materials, equipment and detergents instead of our clients. If the customer has to cancel the service, he/she should do so at least 48 hours prior to the cleaning appointment. Failure to contact us will result in a cancellation fee equivalent to the 50% of the service’s cost. Any appointments of no more than 3 hours should be scheduled for the afternoon. The customer is responsible for providing access to the property at the scheduled time. For more information about London cleaning services from Best Cleaning London, fill out the small quote/booking form, the Free Call Back form or contact us on 0800 924 7329.